BTS DNA Now Reaches 600M Views! BTS's DNA has officially reached over 600 million views on YouTube. Just a few months ago, BTS was the first Korean group to reach a half a billion views (500 million views) with this same song, and in this relatively short time they managed to reach another milestone and break their own record, adding another 100 million views. 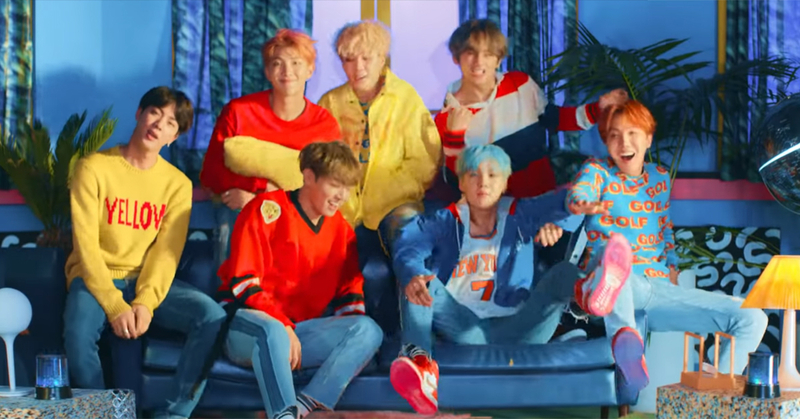 DNA, the title song to BTS's LOVE YOURSELF: Her album was released in September of 2017, and reached its 600 million view record as of January 9th at 7:18 PM. Besides just DNA, many other BTS songs have reached hundreds of millions of views. Currently, FIRE, DOPE, FAKE LOVE, and the MIC Drop remix have all passed 400 million views, while Blood Sweat & Tears, Save ME, and IDOL have all passed 300 million views. BTS's next planned event is in just a few days on January 12th and 13th at Nagoya Dome in Japan to continue on their Japanese LOVE YOURSELF dome tour.